M1ne #1 is a 3d printed sculpture in titanium with a blacker-than-black nano engineered coating. Custom software was made to visualise data points from the 7 coal mines in Belgium. Collecting the the sensitive geopolitical data took one year of lobby work. The data points were rendered into a geometry and finally a stereographic project of the 7 mines was achieved. Hence each mine is sphereized, resulting in a mine in a mine in a mine, hence suggesting a state of infinity. 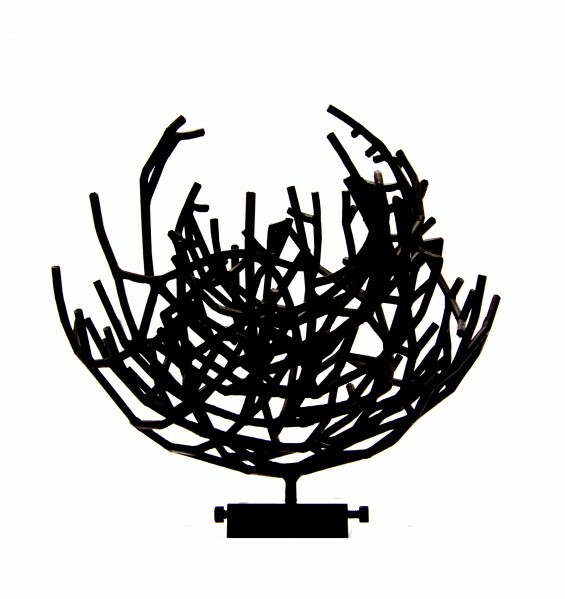 The final shape resembles a birds nest, symbolising the unity between the coal miners. 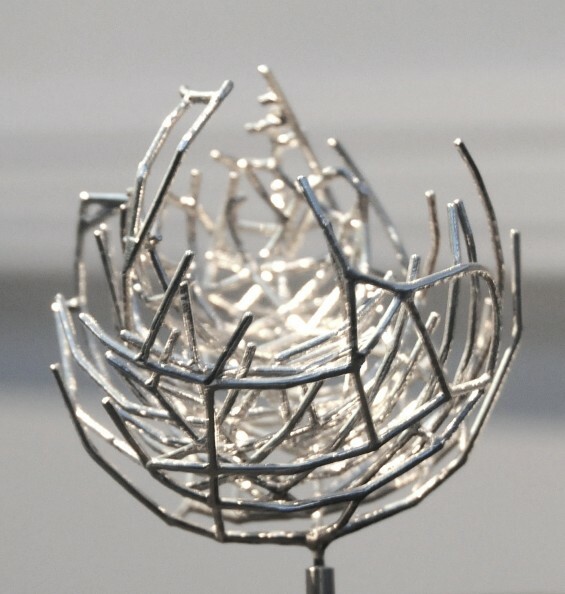 The project is an example of a close collaboration between scientists and an artist. The final aim is to develop a sculpture that appears to be flat, a cut out, a perfect “black body” that acts as a super photovoltaic cell rendering sunlight directly into DC current. 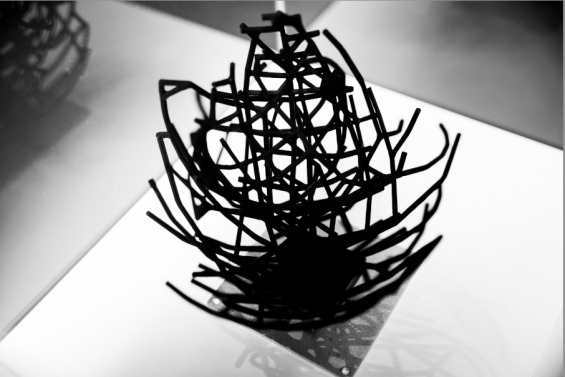 M1ne #1 explores the darkness, or blackness, created by an array of vertically aligned and loosely packed carbon nanotubes (CNT’s) grown on the surface of the 3d printed structure. The result is a hyper-black post-sublime sculpture, consisting of 99,9% air and 0,1% carbon capable of absorbing practically all light at every wavelength (including infrared and far infrared). The nano coated artworks then become a kind of relative of carbon, the substance that one finds in charcoal pens or in pencils (graphite). This relation renders Frederik De Wilde’s contemporary propositions about color a direct descendent to the ancient practice of drawing. The evocative power of this “burnt” color remains after several hundred thousand years of human history have passed, from the first human beings (Caves of Lascaux, France). Black is a constant reinvention and matter is never a settled matter, it is always radically open. M1NE was developed in the framework of an art integration project (University Hasselt). A significant contribution (raw data, geometry) was made by Frederik Vanhoutte.